White Pine Camp will host a series of walking tours of the historic camp, on Wednesdays from June 21st through September 27th, and on Saturdays, June 24th through September 2nd. White Pine Camp is one of the Great Camps of the Adirondack Mountains and served as Calvin Coolidge’s summer White House. The camp also offers a year-round retreat with thirteen cabins and cottages, along with a vintage bowling alley originally used by the President. » Continue Reading. The Fort Ticonderoga’s 60-foot Carillon is providing boat tours with views of the lake, surrounding mountains and the fort itself, while also crossing some of the most archaeologically rich waters in North America. The 90-minute archaeological tour, available daily Tuesday through Sunday, features the story of Fort Ticonderoga and places the fort into a larger context as part of the imperial struggle for the continent in the 18th century. 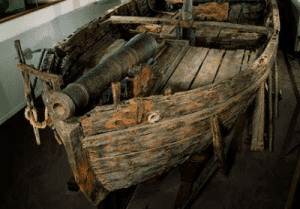 “From shipwrecks to a massive bridge that the Americans built in 1776, Lake Champlain holds defining stories of America’s past,” said Beth Hill, Fort Ticonderoga President and CEO, in an announcement sent to the press. Hill says the Carillon has become one of the most popular attractions at Fort Ticonderoga. » Continue Reading. 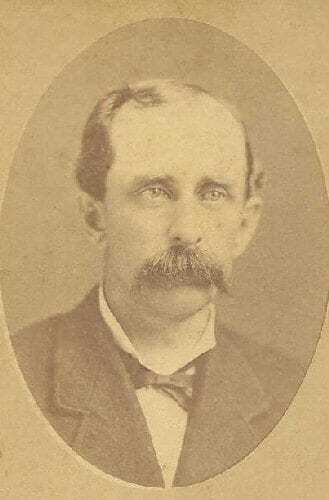 Horace Brown, perhaps the greatest horse trainer from the northern Adirondacks and foothills, attained fame and many trotting victories in America, Europe, and Russia. Of all his successes, none was more acclaimed than the marvelous season of 1882. Collectively, it was among the unlikeliest stories in sports, an early equivalent of the US hockey team’s stunning Olympic victory in 1980, when a group of fresh, largely untested amateurs came together and conquered the world’s best. The 1882 story became legend and was often repeated, but the first couple of names involved aren’t absolutely certain. Bear with me briefly through the details, for the story will get better. By most accounts, the horse in question was bred by Jeff Brown of Dresden, on the western shore of Seneca Lake in the Finger Lakes region of New York. In the vicinity of Dresden, he sold it to Richard Brown (and now the names are certain,) who sold it to Lawrence Bogert, who sold it to Stewart L. Purdy of the town of Benton. » Continue Reading. 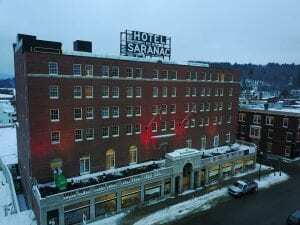 The Hotel Saranac, which first opened its doors in 1927, has been recognized by the Historic Hotels of America, an official program of the National Trust for Historic Preservation. It is one of 295 hotels listed. In order to be recognized by Historic Hotels of America, a hotel must be more than 50 years old and have “faithfully maintained their authenticity, sense of place, and architectural integrity.” The hotel is also listed on the National Register of Historic Places. » Continue Reading. 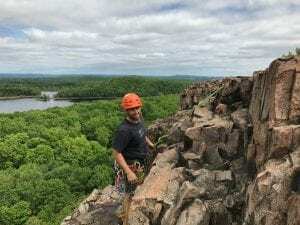 The legendary Fritz Wiessner established more than a dozen rock-climbing routes in the Adirondacks, according to the authors of Adirondack Rock. I’ve written about a few of the better ones, including Empress on Chapel Pond Slab, Wiessner Route on Upper Washbowl Cliff, and Old Route on Rooster Comb Mountain. One reason I’m drawn to Wiessner routes is their historical interest. Arguably, Wiessner was the strongest rock climber in the United States during the 1930s. Indeed, the authors of Yankee Rock and Ice suggest that the German immigrant “was so far ahead of what others were willing to try that he did not significantly improve the general standard.” In other words, few of his contemporaries could repeat his harder routes. » Continue Reading. The Clinton County Historical Association (CCHA) will host a presentation by Art Cohn on the histories of the gunboats Spitfire and Philadelphia, I and II, on Tuesday, June 6, at 6:30 pm. Cohn, Senior Advisor & Director Emeritus of the Lake Champlain Maritime Museum, will give his presentation at the Old Base Memorial Chapel, on the Oval, in the City of Plattsburgh. In October, 1776, British forces were committed to taking back control of strategic Lake Champlain and to that end, engaged an American fleet under the command of General Benedict Arnold, in a three day naval contest. In the course of the first days, during the Battle of Valcour Island, the gunboat Philadelphia sank one hour after darkness and caused the fighting to stop. That night, in an attempt to gain the safety of Fort Ticonderoga, Commodore Arnold escaped past a British blockade, but in the night had to abandon two weakened gunboats. One of these gunboats, the Spitfire, sank into the deep, dark waters of Lake Champlain. » Continue Reading. By the end of September 1895, after heading the season’s winners list at Baden, Germany, and capturing big races at Vincennes and Neuilly in the suburbs of Paris, his contract with French owners expired. He was soon off to Russia, where he completed another very successful campaign. In early 1896 he began training for Serge de Beauvais, another famous French horseman. After winning many races in the Paris area, Horace set up shop in Vienna, which became his adopted home. By year’s end, partly because of his winning efforts and stellar reputation as a trainer, the city became known in the media as the “foremost trotting center in Europe.” » Continue Reading. As the once seemingly endless supply of Adirondack brook trout declined from over-fishing in the late nineteenth century, sportsmen’s clubs turned to fish stocking in an attempt to keep fishing at accustomed levels. 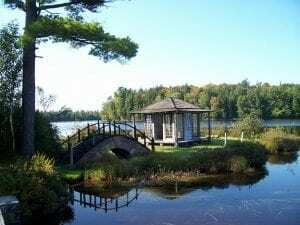 Seth Green established what is believed to be the first commercial fish hatchery in the western hemisphere at Caledonia near Rochester in 1864. Green was among those who strongly advocated for New York to engage in fishing regulation and fish stocking. The state established a stocking program in 1868. Green himself brought fish from his hatchery to the Fulton Chain in January 1872. This was probably the first recorded instance of Adirondack fish stocking and incidentally marked the introduction of smallmouth bass into Adirondack waters. Thus began what a 1981 DEC report on fisheries called a “near maniacal” program of fish stocking in the Adirondacks. New York acquired Green’s hatchery in 1875, then began to construct hatcheries throughout the state. The Saranac hatchery was completed in 1885. The Cold Spring hatchery on Fourth Lake was constructed later the same year. In 1887 the Cold Spring hatchery was relocated to Old Forge just below the dam. At first native trout roe were collected and raised to fingerlings in the hatcheries. As time passed native fish were supplemented with brown and rainbow trout as well as a host of other non-native species. » Continue Reading. Historic Saranac Lake has invited visitors to step back in time to explore the 1920s with a new exhibit Wednesday, May 31 at the Saranac Laboratory Museum. 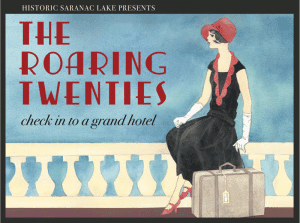 “The Roaring Twenties: Check in to a Grand Hotel” explores the decade through the context of a grand hotel of the era and celebrates the upcoming reopening of the restored Hotel Saranac. Visitors can explore spaces in the 1920s hotel such as a guest room, a ballroom, and a speakeasy. Local artists, Hannah Gochenaur, Morgan Paul, and Maria DeAngelo painted the mural backdrops. Pendragon Theatre Costume and Set Designer, Kent Streed, consulted on the project early on, helping to brainstorm key theatrical features. » Continue Reading. 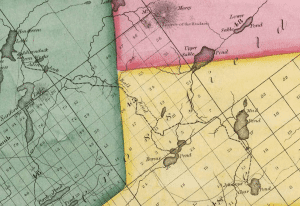 The history of railroads in the Adirondack region has been well documented. The names of Dr. William Seward Webb and Dr. Thomas Clark Durant are permanently etched in the annals of railroading with evidence of their work still in existence today. However, the first Adirondack railroad to bear the name was established decades earlier. In April of 1839, by an act of the State Legislature, a corporation was chartered with $100,000 capital to be known as the Adirondack Railroad Company, with David Henderson, Archibald Mclntyre, and Archibald Robertson as owners. These names should sound familiar. Although subscription books were opened with all due formality, there would really be no stockholders excepting the original proprietors. The route was to run from the Adirondack Iron and Steel Company’s works in McIntyre (later known as Adirondac) to Israel Johnson’s Inn at Clear Pond in the town of Moriah. » Continue Reading. 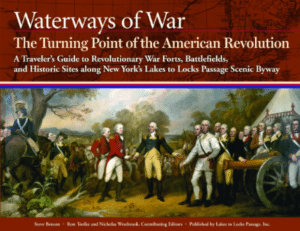 Lakes to Locks Passage has completed the third in the series of Waterways of War guidebooks. Waterways of War: The Turning Point of the American Revolution focuses on the 1777 northern campaign of British General John Burgoyne. The book is also the centerpiece of a broader initiative to develop the Turning Point Trail, a narrated driving tour from Plattsburgh to Albany. » Continue Reading. Due to his obvious talent and strong work ethic, Horace was beset with offers from many prominent owners. Before year’s end, he became the trainer and driver for Highland Stock Farm in Lee, Massachusetts, a prolific operation that raced successfully across New England. Wallace’s Monthly, a magazine that covered horse racing, freely praised the hiring in a piece reprinted from Horse and Stable magazine. “It is a fact that the trainer of a farm is secondary in importance only to its stallions and brood-mares…. Horace Brown deserves the credit of whatever renown has been brought to Hamlin Farm…. I found that good horses improved faster under his care than that of any man of whom I had knowledge…. 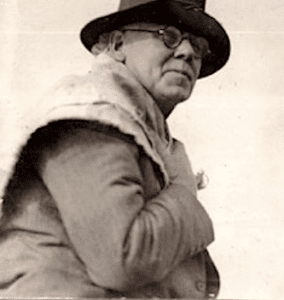 Horace reduced the record of Belle Hamlin to 2:18¼ and won more money with her in a single season than the Village Farm had won in its existence up to that time…. 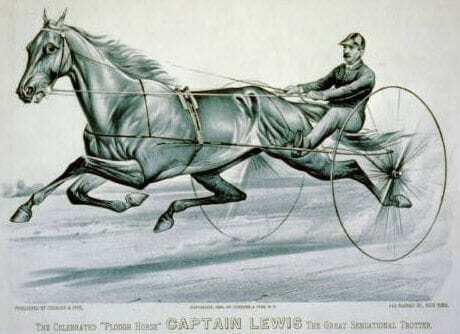 The greatest feat of Horace’s life was, in my belief, the defeat at Cleveland, on July 28 and 29, 1886, of Manzanita, Spofford, Kitefoot, Longfellow Whip, Orange Boy, and Lowland Girl, in a five-heat race that occupied two days. » Continue Reading. 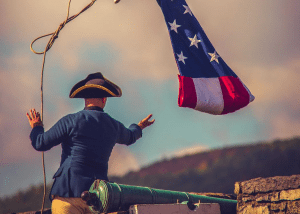 On Memorial Day weekend, May 27-29, Fort Ticonderoga will remember the service of the armed forces of the United States on the very grounds where so many American soldiers fought and sacrificed. Attendees learn about the story of the American Army in 1776, rebuilding itself and digging in at Ticonderoga to defend liberty during living history programs throughout the weekend. A full line-up of activities and programs offered throughout the weekend include daily tours in the fort, King’s Garden, and museum exhibition spaces; historic trades programs; ongoing soldiers’ life programs; weapons demonstrations; the Mount Defiance experience; and the Battlefield hiking trail. » Continue Reading. A new history covering the Fulton Chain of Lakes region from Moose River Settlement to its boundary west of Raquette Lake is now available from North Country Books and selected regional bookstores. 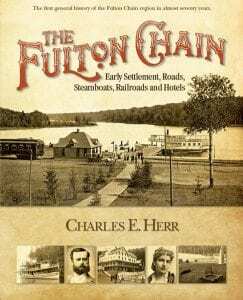 Regular contributor to the Weekly Adirondack of Old Forge Charles E. Herr’s new book, The Fulton Chain: Early Settlement, Roads, Steamboats, Railroads and Hotels, documents the story of the stalwart folk whose lives shaped the Fulton Chain. The book represents the first general history of the Fulton Chain region in almost seventy years. Herr says he hopes his work engenders new interest in the notable earlier works cited in his introduction to The Fulton Chain. Steamboat Captain and author William “Bill” Gates will present the opening talk as the Ticonderoga Historical Society opens the third of its major exhibits for 2017 on Friday, May 19th at 7 pm at the Hancock House, 6 Moses Circle, Ticonderoga. 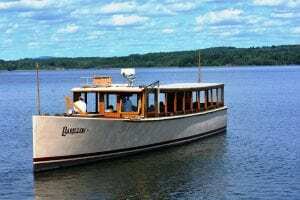 “Steamboats A’Comin” helps mark the bicentennial of steamboats on the waterways of the Lake Champlain and Lake George Regions, an innovation that opened the area for commerce and tourism in the years that followed. » Continue Reading.